The case and bracelet are made of carbon CTP (Coal Tar Pitch). 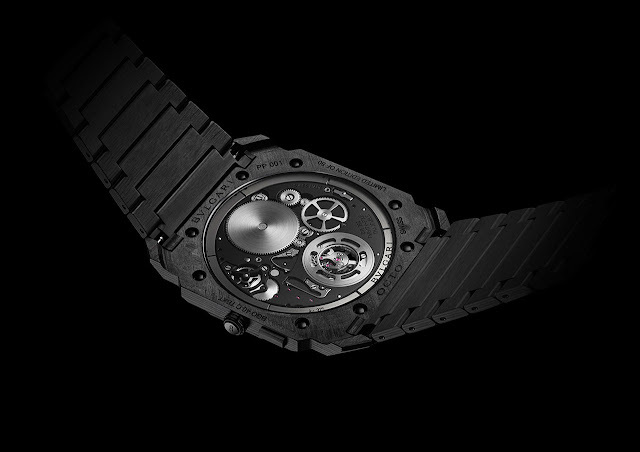 The movement, a technical marvel at only 1.95 mm thick, thanks partly to an innovative peripheral rotor. It is showcased in an openworked dial with black finishing, and can also be seen through a transparent caseback. 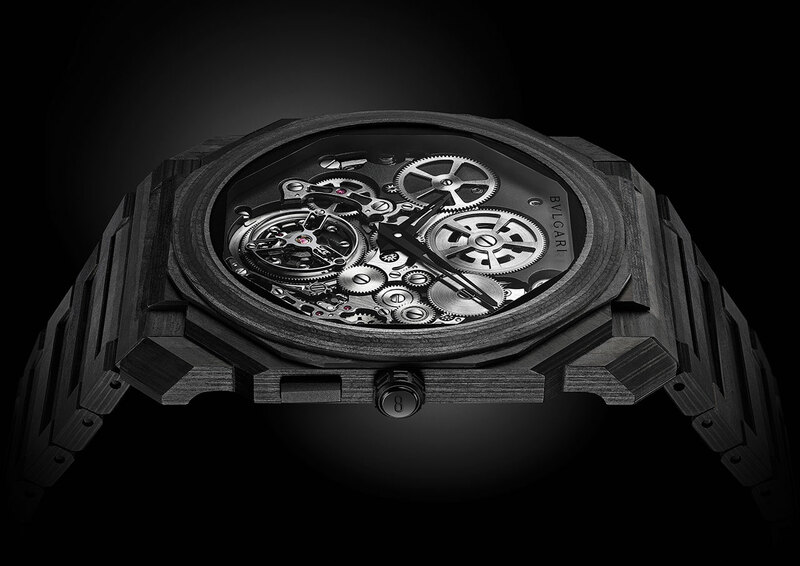 The Octo Finissimo Tourbillon Carbon is the thinnest-ever automatic carbon watch. It is a limited edition of 50 pieces. 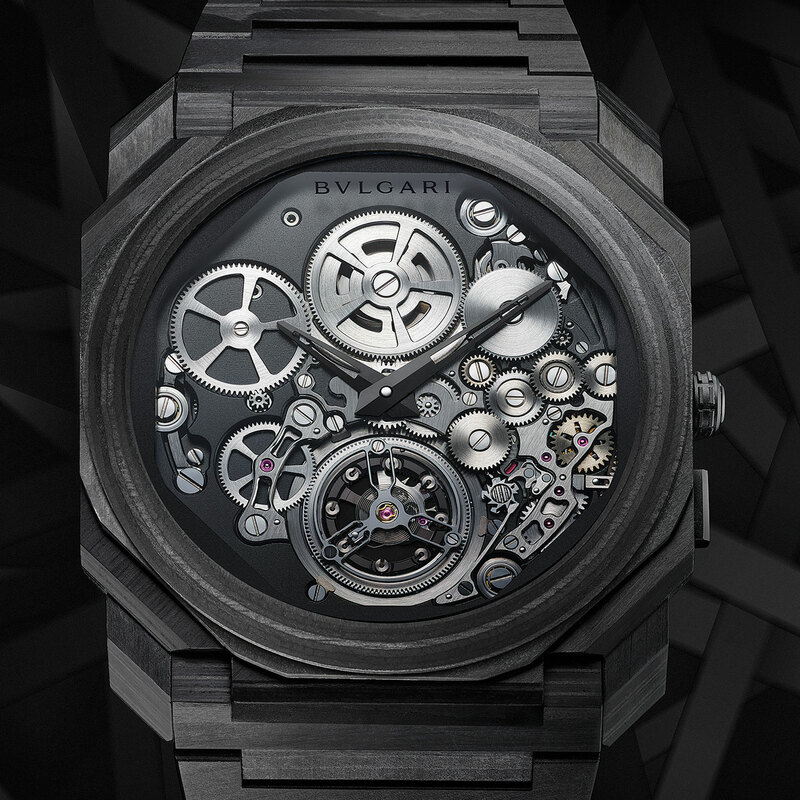 Mechanical automatic flying tourbillon calibre BVL 288, with peripheral rotor and specific ball-bearings system, 1.95 mm thin, 52-hour power reserve. 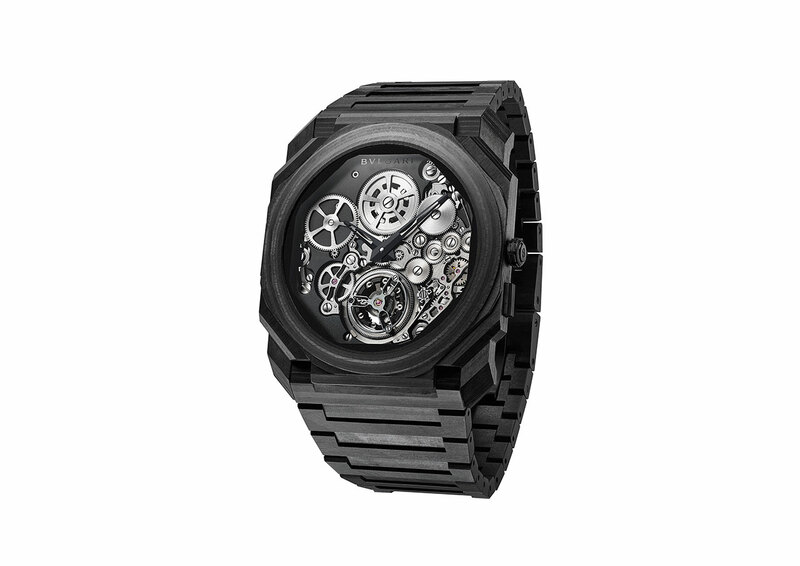 Carbon CTP (Coal Tar Pitch), 42 mm, transparent caseback, sapphire crystal. Carbon CTP (Coal Tar Pitch), with 3-blade folding buckle.